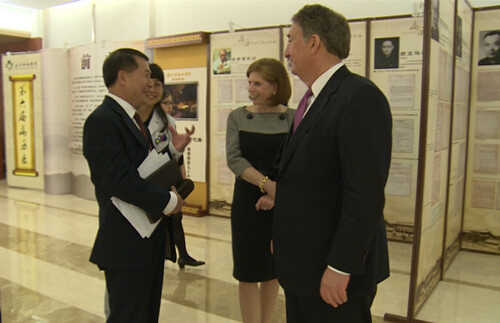 China Education Television (CETV) interviewed Howard Milstein during his recent visit to Beijing, the second time the network spoke to Mr. Milstein in two years. In the interview Mr. Milstein discussed his philanthropic activities in China and Asia through the Milstein Medical Asian American Partnership (MMAAP) Foundation as well as his thoughts on leadership, education, and China. On the subject of leadership, Mr. Milstein told CETV that he believes leaders must think first of the public interest in any action they take. The MMAAP Foundation, for example, is one aspect of Mr. Milstein’s leadership in the philanthropic sector and takes up a considerable amount of his time, CETV said. MMAAP Foundation’s projects include skin disease and melanoma research, blood research, and support of senior healthcare. Mr. Milstein told CETV that he feels strongly that China has become more and more open and international. The country plays an increasingly important role in international affairs and is tightly connected with the world in every field. He also said he feels excited and happy every time he comes to China because his Chinese friends treat him well and make him feel at home. The Chinese people are hard-working and kind, qualities he cherishes, he added. Mr. Milstein promised to continue his philanthropy in various fields, including healthcare, education and culture, to help the Chinese people achieve a better life while promoting Sino-U.S. relations. 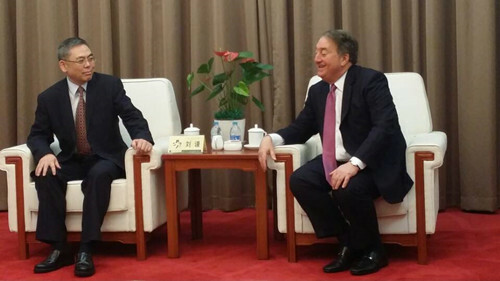 Howard Milstein meeting with Liu Qian, the Vice Minister of the Ministry of Health. 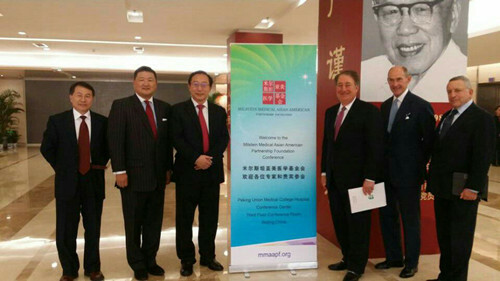 Howard Milstein and Abby Milstein visiting Peking Union Medical College Hospital. 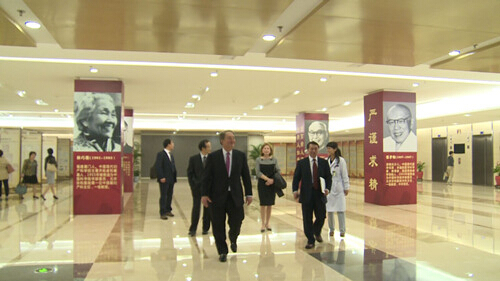 Howard Milstein and Abby Milstein at Peking Union Medical College Hospital. Howard Milstein and the executive team of the MMAAP Foundation.